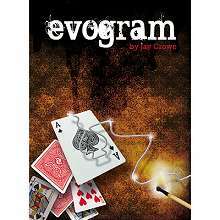 Spectator selects a card from a shuffled deck and places if face down on the table. Then the spectator initials the Ouija card and briefly holds it between the palms of their hands. 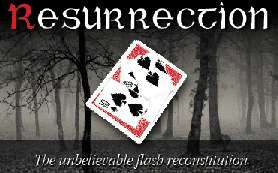 The Ouija card is then inserted into the deck by the spectator. Lastly, the Ouija card reveals a personal message from the other side. 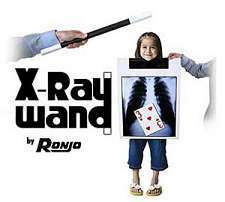 $29.95 Imagine the ability to SEE with your fingertips. 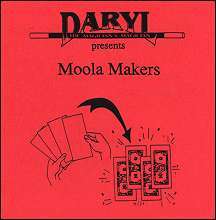 Imagine the ability to divine - without looking - the color of each card in a shuffled deck. 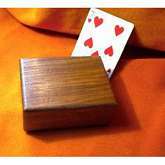 This box will allow you to vanish, exchange or produce a playing card, billet, dollar bill, business card, etc. Made of the finest hardwoods. Secret magnetic action does it all. This is one of our finest offerings, top professional quality. Complete with detailed instructions. Made of hand-crafted walnut. You now hold in your hands -- an original idea from Lee Asher. 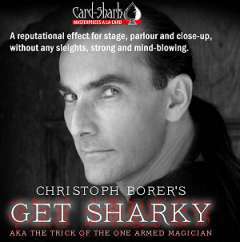 He performs his brand of magic across the world, leaving audiences speechless. Witness has never before been released on DVD -- until now. 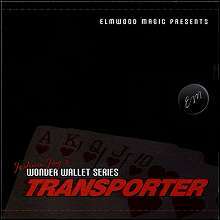 Hold a pack of cards in your hand. 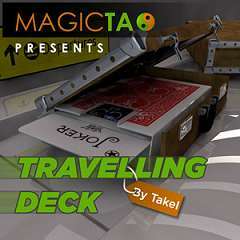 Instantly, and visually, in front of the spectator the whole deck disappears leaving you with just one card! 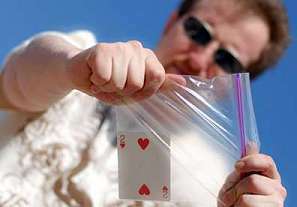 Magician leaves a sealed prediction in plain view. 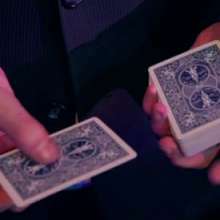 A deck of cards is fanned and a spectator is asked to point to any card. The spectator looks at their selected card and then opens the sealed envelope. The card matches the sealed predicition. 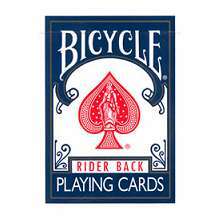 A spectator chooses a playing card and is asked to hide it behind their back. 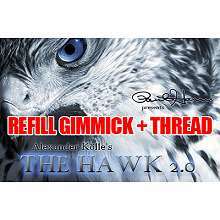 2 Basic Gimmicks and approximately 10 Ft of Thread for Hawk 2.0. No Lucky Cards or Instructions included. 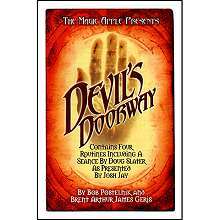 With the enclosed precision made gimmicks and instructional DVD you will soon be unleashing on your audiences one of the strangest moments in close up magic! 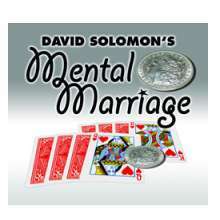 A playing card is torn up and reformed before their eyes ! 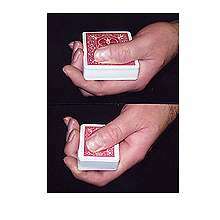 You show 4 torn pieces of the same card, which you place on the table or in a spectators hand. You say that last night in a bar, someone tried to show you a magic trick, and here's the result: 4 torn-up pieces of a card. 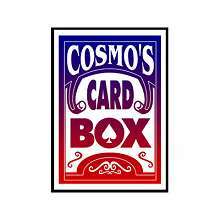 Cosmo's card box is the solution! 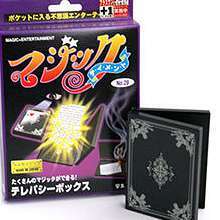 This is a very useful and versatile apparatus used for making a playing card appear, vanish, or change from one card to another. You can also use it to make a prediction. A blank piece of paper can change to one with a prediction written on it. It's use is only limited by your imagination. 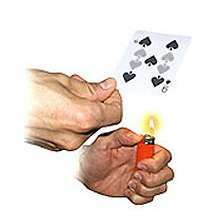 A card visually transforms into the spectator's chosen card by heating it with a normal lighter! Instructions with two amazing routines included. 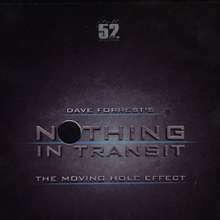 The trick can be infinitely repeated . Supplied with a wallet and two different cards (one black and one red). 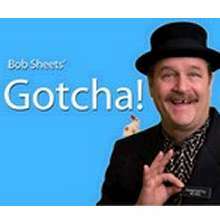 Bob Sheets has fooled everyone – including the experts – with this staggering multi-phase version of Triumph. 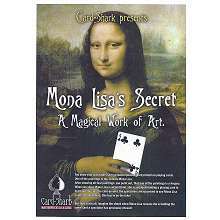 Card Rises in Spectator's Hand!